Woodforest Charitable Foundation recently donated over $1 million. 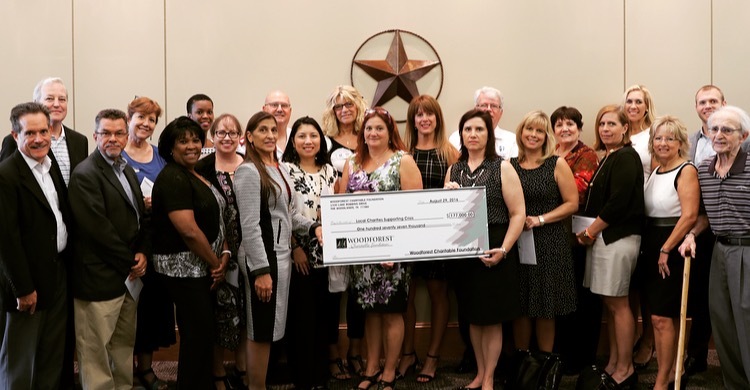 Woodforest Charitable Foundation recently donated over $1 million to local Montgomery and Harris County charities. Woodforest Charitable Foundation: The Woodforest Charitable Foundation was created by Woodforest National Bank in 2005 as a direct result of its desire to support and invest in the communities in which it serves. The Foundation is committed to assisting those in need, enriching lives and communities through dedicated leadership and faithful administration by providing funding to qualifying 501(c)(3) charities. For additional information regarding the Woodforest Charitable Foundation, call (832) 375-CARE (2273) or visit the foundation’s website at www.wcf.org.